The arrest of a key plotter of the 2013 Reyhanlı attacks has uncovered crucial information on ties between the THKP-C, a pro-Syrian regime militia, and the Syrian intelligence service. Yusuf Nazik was arrested by Turkish intelligence units in the Syrian port city of Latakia on Wednesday. He has confessed to playing a role in the deadly bombing in the town of Reyhanlı in Hatay province in southern Turkey which killed 53 people. Nazik is currently detained in Ankara where security and intelligence teams are interrogating him. According to information gathered by Anadolu Agency, Nazik has given out important names and addresses as well as information regarding ties between THKP-C leader Mihrac Ural and Syrian intelligence units who are in contact with terrorists operating in Turkey. Nazik told interrogators that Syrian intelligence officer “Muhammed”, codenamed “Haci”, gave the order to carry out the Reyhanlı attack. Nazik confessed that his role was to maintain communications with Syrian intelligence and direct the perpetrators of the bombing. 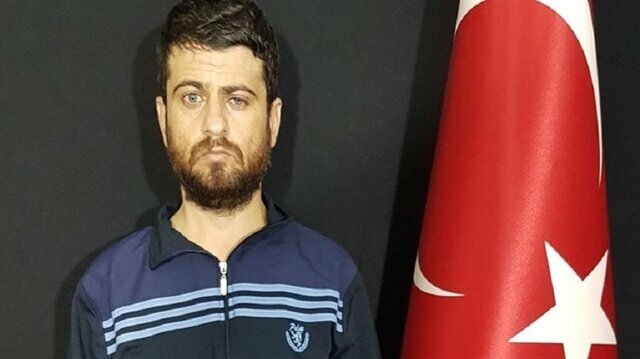 Nazik, 34, who was marked blue in the color-coded Interior Ministry's wanted terrorists list, confessed that on a tip off from Syrian intelligence units, he scouted the crime scene prior to the attack and moved explosives from Syria to Turkey.